While rain-soaked opening weekend 2017 was certainly no reason to celebrate, that didn't mean there wasn't anything to cheer about. But as with the games, the celebration was put on hold as well. Little League Day 2017 was not only a fun-filled All-Star day, but this year began with a short ceremony honoring those who missed the chance in early April. The pre-game festivities on Albright Field included awards for Lifetime Player Participation, Lifetime Sponsor, Volunteer of the Year and the President's Award. 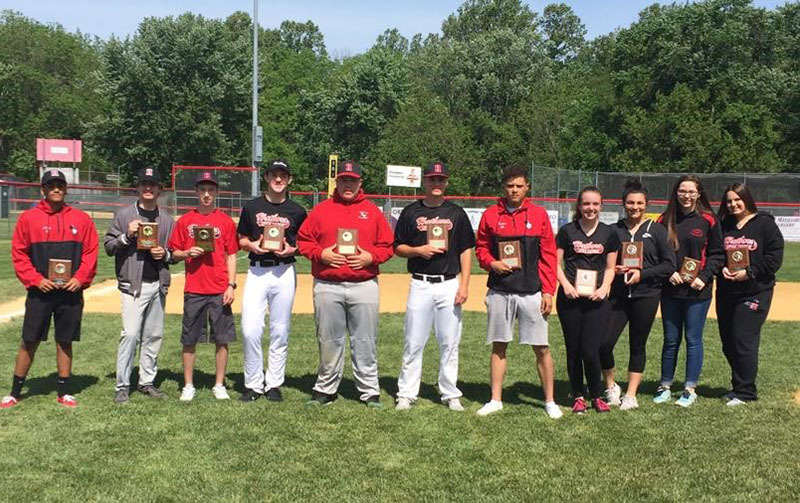 The Lifetime Player Participation Award is given to players that have played for Hatboro Little League for 10 consecutive years. In total, 11 players were awarded plaques this year. The Lifetime Sponor Award is given yearly to a HLL sponsor who consistently supports the league. 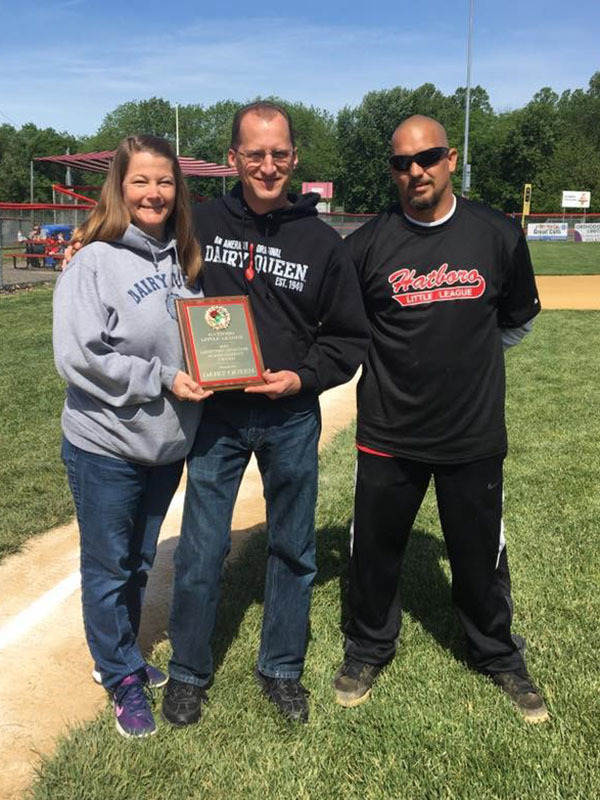 This year's awardee, Dairy Queen of Blair Mill Road has been a sponsor with Hatboro Little League for years, and is always a great supporter of our players. Plus, who can resist the ice cream! This year's Volunteer of the Year Award was given to Lisa Banks. Lisa is the board's Volunteer Coordinator and has spent the last two years learning and enforcing the new volunteer regulations. On top of her regular duties, Lisa is quick to assist in any way she can, be it at a meeting, a function or a game. 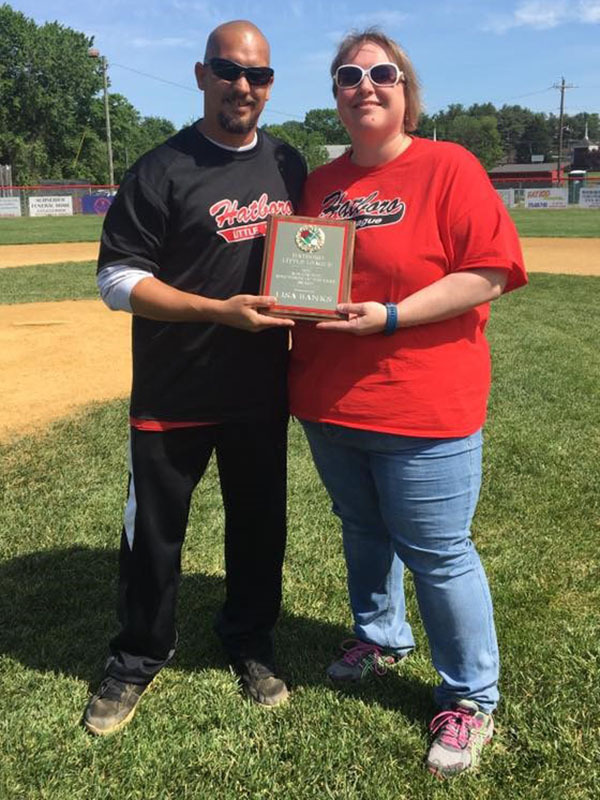 Every year, the President of Hatboro Little League award's the President's Award to someone of his/her choosing - someone who exemplifies the spirit of Hatboro Little League and what it stands for. This year, President Chris Mapes awarded Pat McHenry that prestigous award. 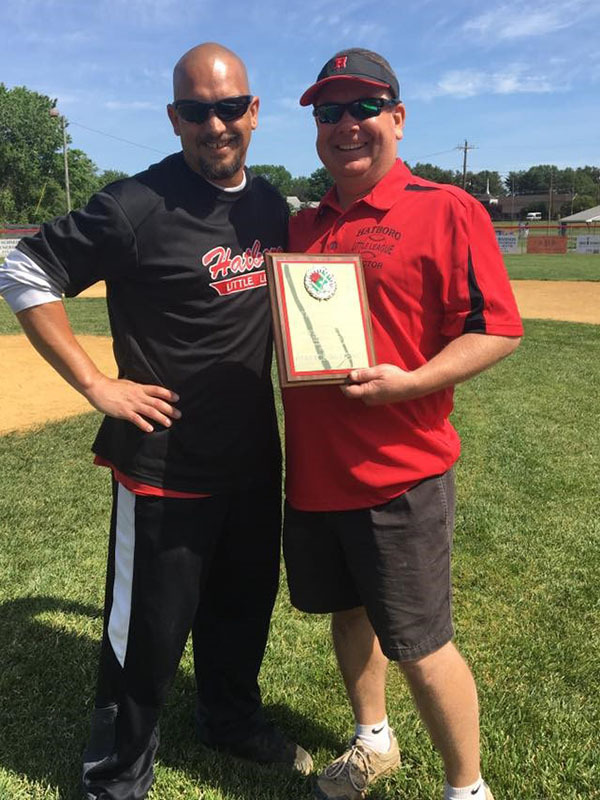 Pat serves as the Treasurer of Hatboro Little League; he is also a coach and an umpire. In his spare time, Pat is an accountant, meaning his busiest time of the year is also the busiest time for the league, getting up and running each year. But every year, he brings 100 percent to the league and is an exemplary example of volunteerism. Congratulations players on your achievement awards, and congratulations and thank you, award winners, for all you do to make Hatboro Little League on of, if not the, best Little League in the world!